The eastern strawberry tree (Arbutus andrachne) is in the Ericaceae, or heather, family of trees. The pictures in this blog entry were taken in Neot Kedumim, the Biblical Landscape Reserve in Israel. 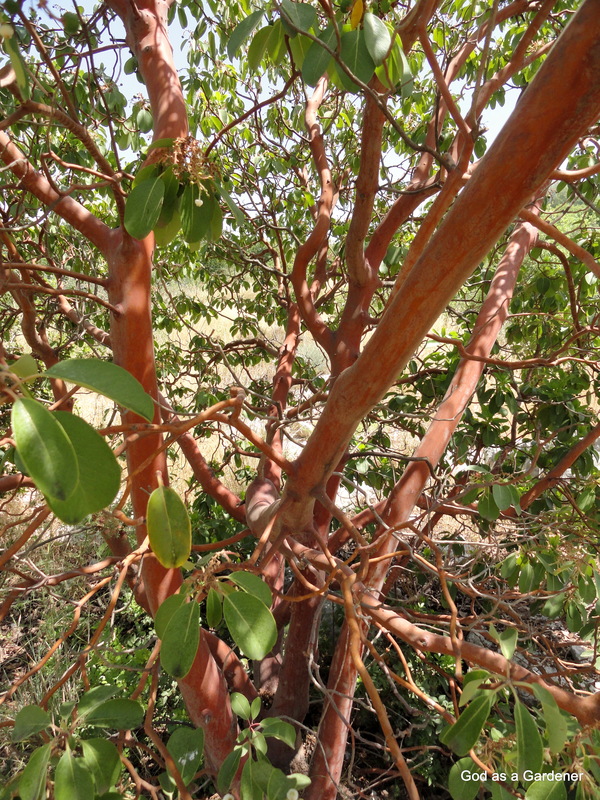 It is evergreen, or partially deciduous tree, and known for its bright red bark. Every year the tree peels in picturesque scales. The new bark underneath is at first green-brown and then turns red. 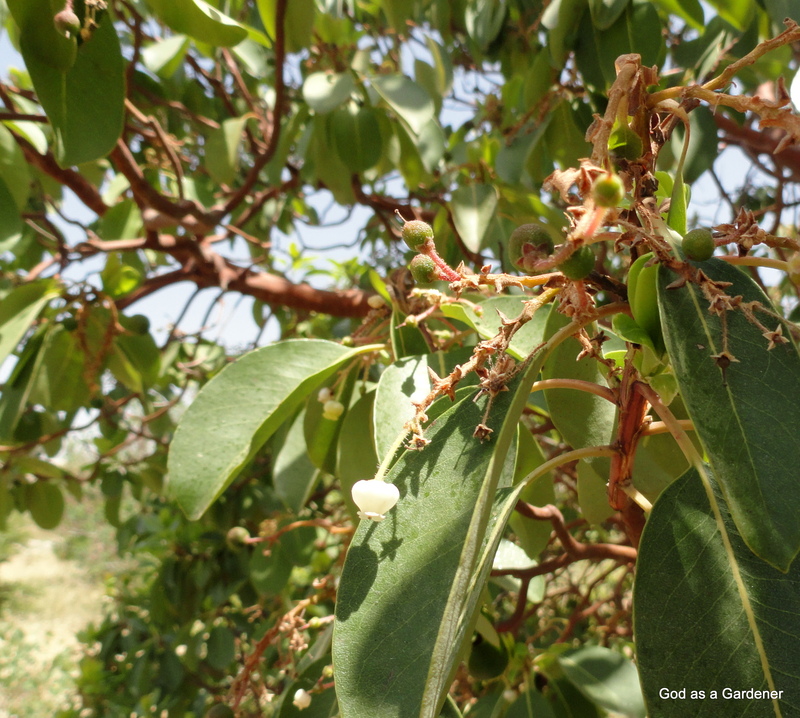 Today Arbutus andrachne is known as a small shrub or small tree (up to 20 feet); but archeological evidence showed that specimens were once large enough to be a structural building timber. The Arbutus andrachne remains of a beam supporting the roof of the “Sunken Room” at Sidon, Lebanon, were grown c.1390-1120 BCE. 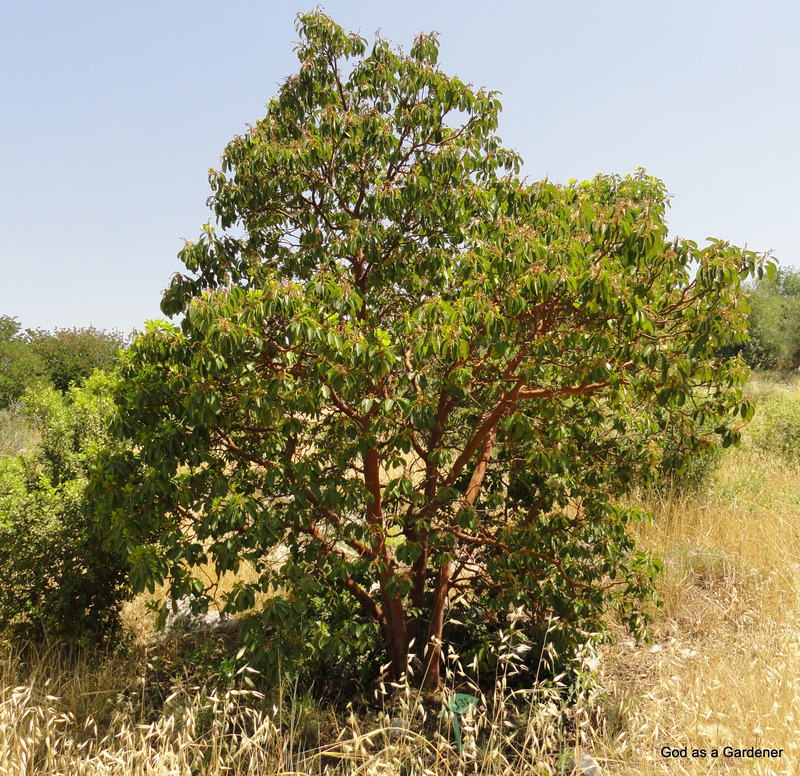 In Israel the eastern strawberry tree grows in Galilee, Gilboa, Carmel, Samarian mountains, Judean mountains, and Shefela. 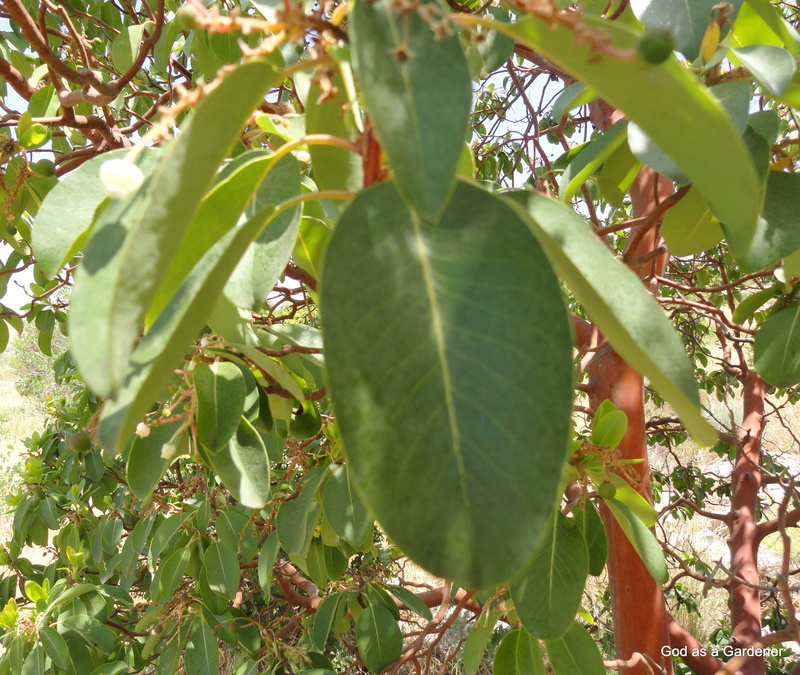 The tree likes the chalky soils in Israel, e.g., the soil is poorly aerated and anaerobic. Leaves are simple with a smooth edge that comes to a point on the end. Small white flowers bloom in March and April,and turn to a small red strawberry like fruit in late spring and early summer. The fruit are about the size of American cherries. Reflection: I like the idea of my bark sloughing off and starting new every year and becoming an attractive color. In reality, that is what God does for me when He forgives my sin. God allows me to start over. The problem is that I remember my sins and all I do and did that was wrong. I do not forget and allow myself to start over as God planned. Copyright September 28, 2015, Carolyn A. Roth; all rights reserved.